(CNS) Update Wednesday 2:30pm: Despite a day-long sea search Tuesday, the local Cayman authorities have been unable to find a missing cruise ship passenger who is believed to have gone overboard while the ship was at sea. Police said that the search continued Wednesday but the RCIPS Marine Unit said there is still no sign of the man, who is believed to have fallen into the ocean at around 6am yesterday about 13 miles off the coast of Grand Cayman. The 65-year-old man is a Canadian national who was on the cruise with his wife. His disappearance was reported to the local police at 9:42am New Year's Eve, when authorities began searching. The George Town CID also interviewed staff and witnesses on board the Independence of the Seas and the matter is still under investigation. The Port Authority broadcasted an appeal to all marine traffic to be on the lookout for the missing passenger, and this appeal is being updated as the search continues. 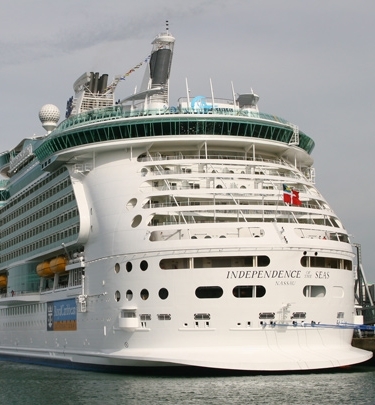 Police had responded to the report of the man falling from the vessel after the Royal Caribbean cruise ship had docked in the George Town Harbour. The man's wife reported that he was missing to ship officials earlier that morning. The couple had retired to bed at about 1:00am Tuesday but when the wife awoke around 7:15am, she did not see her husband. She searched for him and when she did not find him made the report at about 7:25am. At that time the ship was headed into George Town Port, the police said. A search of the entire ship was organized, officials stated, and the CCTV viewed but there was no sign of the missing man. As a result, the Royal Cayman Islands Police Service Marine Unit was dispatched to the area and conducted a search until low light but without success. Officers from George Town CID are continuing the investigation. According to other media reports, on Saturday a man had jumped from a Royal Caribbean cruise ship near Puerto Rico. The search for that passenger was unsuccessful. (CNS): The man who heads up the enforcement arm of the Cayman Islands immigration department has been arrested for DUI. Unofficial sources have told CNS that the deputy chief immigration officer, Gary Wong, has become another statistic in the RCIPS road safety crackdown but the police have been reluctant to confirm the arrest of the senior civil servant. According to reports on Cayman27, Wong was allegedly involved in a road traffic accident in the early hours of Saturday morning in the Lower Valley area and was arrested on suspicion of driving under the influence, leaving the scene of an accident and careless driving. 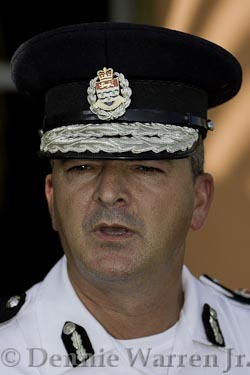 (CNS): There were no top royal gongs for Caymanians in the Queen’s New Year’s honours list but UK national David Baines, the police commissioner, bagged himself an OBE. Meanwhile, the governor named Dr Saratchandra (Sarath) de Alwis-Seneviratne for services to medicine and Thomas Magnus Wood for public service as recipients of the locally selected award the Cayman Islands Certificate and Badge of Honour (Cert. Hon.) 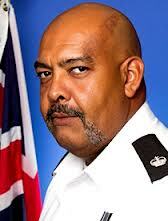 Baines, who has almost four decades of police experience in what were described as challenging positions in the UK, got the top royal honour with Officer of the Most Excellent Order of the British Empire (OBE) in recognition of services to policing in the Cayman Islands. Although the RCIPS has had some recent successes in the fight against crime, Baines has presided over the police service at a time of mounting crime and he has faced political criticisms over the management of what are considered the extensive resources given to the RCIPS. There have also been a number of questions raised over issues regarding the chain of evidence and a number of court cases this year that have collapsed as a result of poor police systems. The commissioner was forced to review the RCIPS policy for warrants after a justice of the peace admitted during a judicial review that he had signed a warrant without any comprehension of the alleged crime. Baines came to the Cayman Islands in 2009 from the UK and has had his fair share of critics.Speaking about the challenges facing the RCIPS, he said, “A great many of our employees are committed to being excellent at their jobs in order to better serve the people of the Cayman Islands. Yet people tend to focus on the negative and not see the journey that we’ve been on,” he said. See below for full details of all of the awardees.